The World Water Assessment Programme has just confirmed what everyone knew. 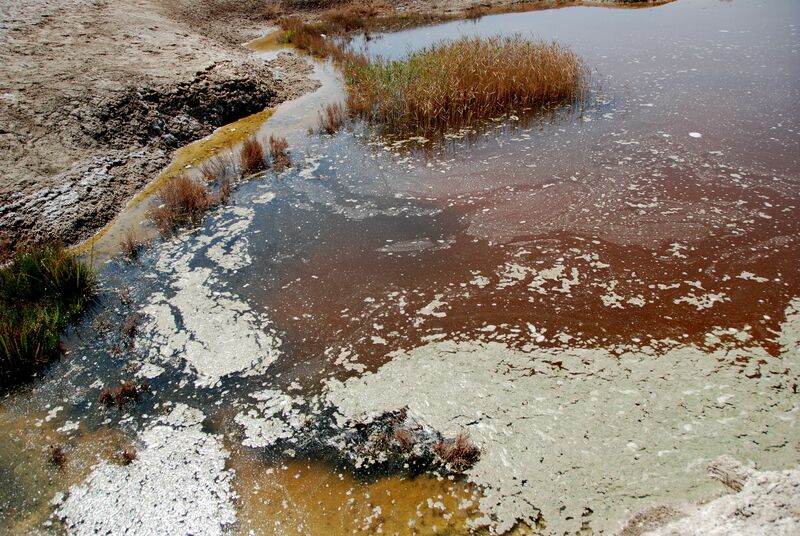 Human-generated water pollution is rising all over the world and is seriously threatening human and ecosystem health. Meanwhile, a TV documentary ‘Poisoned Waters’ aired in the US last month showed how deodorants, prescription medicines and household cleaners are finding their way into sewers, storm drains, and eventually into America’s waterways and drinking water. While this is happening in a developed country with strong environmental regulations, one can guess what is happening in the emerging economies of India, Southeast Asia and China. Some months back, a team of researchers led by the University of Gothenburg, Sweden, discovered that a river in Patancheru, in the Indian state of Andhra Pradesh, contained the world’s highest levels of drugs. This river close to Hyderabad which produces much of the world’s pharmaceuticals has become a receptacle for all the wastewater produced by the nearby factories. It has been called a floating soup of 21 active pharmaceutical ingredients used to treat hypertension, heart disease, chronic liver ailments, depression, gonorrhoea, ulcers and other ailments. In fact, the amounts of the antibiotic ciprofloxacin it contains is said to be enough to treat 90,000 people! Meanwhile, China is also paying a huge price for becoming the factory of the world. Many reports have emerged of “cancer villages” where most of the residents suffer from cancer attributed to heavily polluted water. An OECD report estimates that hundreds of millions of Chinese are drinking water contaminated with inorganic pollutants such as arsenic and excessive fluoride as well as toxins from untreated wastewater, inorganic agricultural chemicals and leaching landfill waste. More than 4.4 billion tons of untreated or partially treated wastewater is being dumped into the Huai He River annually. What can be more telling than the fact that along this river’s basin are villages where no young men have been able to pass the physical examination for entering the army. It need not be this way. It is perfectly possible to manufacture pharmaceuticals or anything for that matter without letting them get into rivers. In fact, industries in developed countries are not only treating wastewater to advanced levels but they are also reducing, reusing and recycling water. If only our whole paradigm shifts to an ecological one, the popularity of environment-unfriendly products could take a beating. Years ago, I did away with harmful toilet and drain cleaners, and substituted them with baking soda and vinegar. I am now trying to find environment-friendly alternatives for dishwashing liquids, shaving creams and detergents. Imagine the impact if millions of people do the same. Unless of course, we humans want our future generations to have six limbs like the frogs or ovaries like the male fish in Chesapeake Bay.